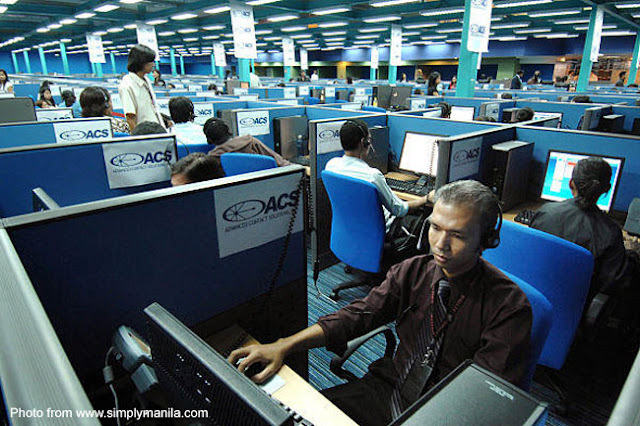 Home / Language / Filipino or Indian Call Centre Agents? Filipino or Indian Call Centre Agents? I was erstwhile having problems with Windows 8.1 on my HP laptop; so, I sent an e-mail to HP Support to describe the problem. The problem got resolved when I refreshed my system and got reverted back to Windows 8. I told HP Support about this to put closure to my transactions with them. About mid-afternoon yesterday, however, I got a surprise phone call from HP Support. The moment the woman started speaking, I immediately knew that I was speaking to an agent from HP Support located in South Asia, in most likelihood India. This is not so much learning how to speak with the accent of a native English-language speaker but more to remove the Filipino accent so that an agent becomes intelligible to a caller from an English-speaking nation. It will probably be not fair to judge South Asian call centre agents on the basis of two calls that I personally received; but if those two were, in fact, representative of how agents from the subcontinent conduct their transactions, then I can understand why some native English-speaking customers ask for Filipino agents. Now, I have a fairly good ear for accents and can even stay with a thick Scottish burr, albeit with a second’s delay inside my head to allow for deciphering. I can also recognise the accents of most of the native English-speaking nations. But that HP agent had me down on the canvas knocked out cold. If she ever underwent accent neutralisation, there was no evidence of it whatsoever. The accent was thick, unmistakably South Asian and – I am sorry to say – barely intelligible. I probably could have done better if the handset reception was louder and the noise of passing vehicles outside not so distracting. It still boiled down to the accent; and I seriously doubt that a native English-speaker would have understood her, either. I actually asked the agent to slow down; and while she did so somewhat, I could only make out a word here and there and then tried to guess what she meant. From what I could make of what she was saying, she was advising me to wait for a month or so before reinstalling Windows 8.1 as HP is still trying to resolve some driver issues. To be fair, I have no idea if she understood me either; and the most amazing thing about that call was that it was conducted in the most cordial manner. Imagine two people not really understanding each other but talking cordially, nonetheless. This was actually the second call that I received from a South Asian agent. The first was years back when I was having problems updating my anti-virus package. The McAfee agent who called me first spoke with a pseudo-American accent. This one probably underwent training to learn to simulate the American accent, but the trace of an Indian accent was still there. In fairness, he immediately said yes. I have talked to local agents who said they were not allowed to divulge their location or nationality. Everything depends, from what I have heard, on the call centre’s policy. For the McAfee agent, admitting that he was Indian seemed to have a liberating effect. For reasons only he could explain, he immediately dropped the American accent and started to speak to me with an Indian accent. His was not as thick as the HP agent’s; so the transaction was conducted efficiently and my problems quickly resolved. I have heard stories told by local call centre agents that I personally know that they often receive calls from customers who distinctly ask NOT to be connected to Indian agents. In many cases, they say, customers actually ask to be connected to Filipino agents. Because I am Filipino, I will naturally understand English spoken even with the thickest of Filipino accents. That said, I still have to speak to a Filipino agent who speaks with an accent that a native English speaker will have problems understanding. Most of the calls that I receive are from HSBC. While these are annoying marketing calls, one still cannot help but admire the way with which the agents conduct their transactions in English. My own sister used to work in an HSBC call centre; and while their transactions were with North American customers, they were not even required to speak with a North American accent.